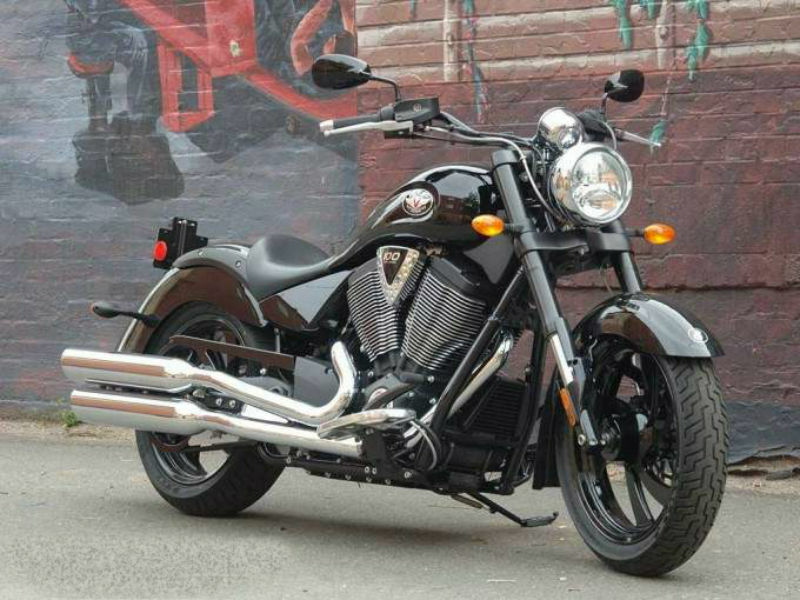 Victory Kingpin 8-Ball is an impressive classic cruiser with trendy design and quality features which guarantee the safety and performance. 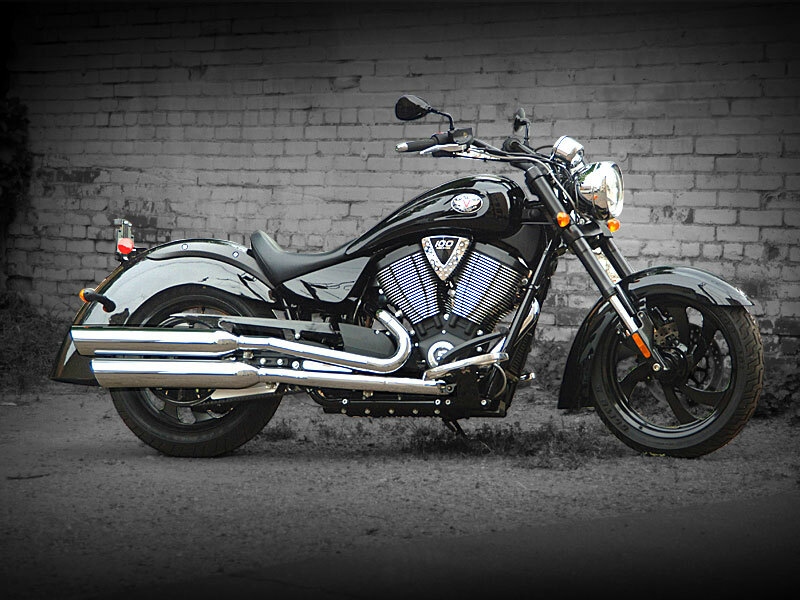 The delicate and notable curves and lines along with the logo of the Victory Motorcycles on its tank add royalty. Chrome finishing to the naked parts and striking body colors add even more value to it. The bike is more than a dashing looks has it is stuffed with advanced technological features for better driving. 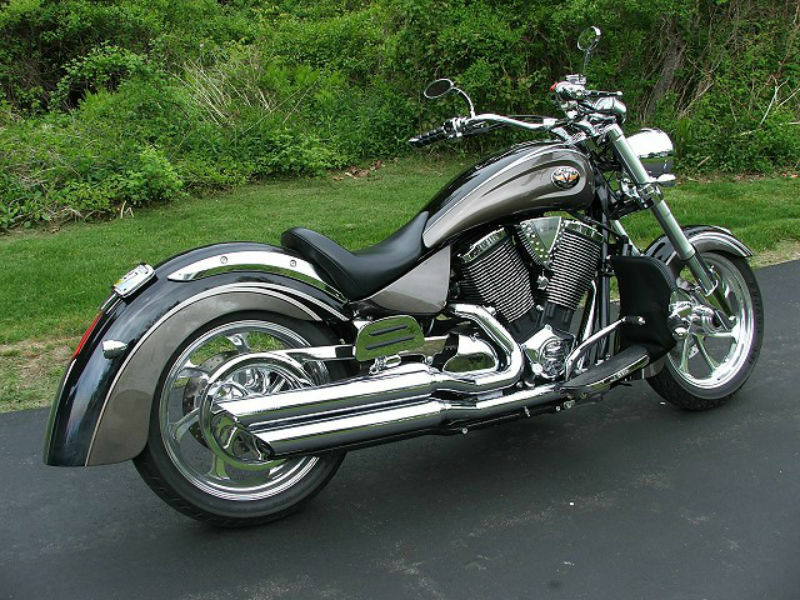 Kingpin 8-Ball comes with powerful four stroke, 50° V-Twin, 1731 cc engine which assure good performance. The maximum power generated from this is about 97 Bhp and the highest torque achieved is 153 Nm. The power so produced reaches the wheels of the bike through 6-speed overdrive constant mesh transmission. The first thing that attracts towards the King 8-Ball is undoubtedly its stunning looks which is designed carefully to meet the demands of aerodynamics. This bike carries the same old classic design in more dignified manner. The stylish curves on the fuel tank, incredibly fashionable wheels, comfortable seat, well structured head lamp and every other factor about the motor vehicle has the power to pull the crowd towards it. Riding this classy vehicle is an all new experience thus every rider will fall in love with it. The advanced technology including the efficient chassis makes the bike perfect. The suspension, including the front Inverted cartridge telescopic fork and rear single, mono-tube gas assure that the riding is smooth and trouble free even for off road condition. Further the floating rotor brakes used on both the wheels helps to give the control of vehicle to the rider. The classic motorbike is believed to give a descent mileage on any road. The trendy cruiser is expected to be available in various colors but not much information available on this. The ex-showroom price of the vehicle is close to Rs. 13,00,000.